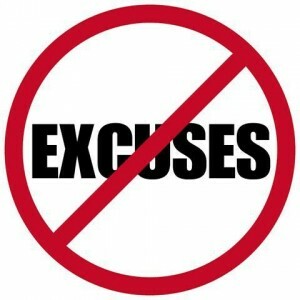 I'm going to try (really try) to be a better blogger between now and my trip to Chicago. I'm going to be embarrassed showing up at a blog conference/workshop with a whopping 10-15 posts written for the entire 2012 year. But... that's what the conference is for, right? To teach me a few things about blogging? Lets hope so anyway. If I had to give one main reason why it's so hard to keep up with my blog it would be the amount of time it takes to prepare a post. It doesn't just involve opening my laptop and typing away for 20 minutes. I type... read it back to myself... don't like what I wrote, or think it sounds to wordy, or hate it altogether. So, I delete and retype and delete and retype. It is maddening. It isn't so much that I care what other people think about my writings but more so what I think. I don't post anything if I can't honestly say I'd love it on someone else's blog. I couldn't tell you how many times I've spent at least an hour writing a post to never actually post it. If anyone has any great tips on how to get over that problem, please do let me know. Anyway... I read a book over the weekend that was rather inspiring. I'm not even all that sure how I found it/came across it. I think I was scrolling through the inspirational section of iBooks on my phone. I read a sample (the introduction) and decided to download it. 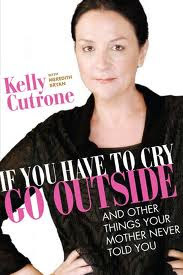 The book is titled "If You Have to Cry, Go Outside: And Other Things Your Mother Never Told You" by Kelly Cutrone. In case you didn't know, Kelly Cutrone is a fashion publicist who is known for her no nonsense attitude and brutal honesty. You may have seen her on The Hills (employing Lauren Conrad) or The City (employing/mentoring Whitney Port). In her book, she talks about her journey to success. It isn't always pretty and life knocks her down at times (as it does to all of us) but it is a great example of how/why you need to pick yourself back up again... and again... and again. However... overall, I was expecting more advice about how to find what you're quote-unquote destined to be in life... more advice along the lines of self-discovery. Instead, the book is written more like a memoir with a few tips on how to be a successful business woman. P.S. I'm in the middle of having a custom blog design finally made... so excited!! STAY TUNED.